There’s a good chance you plan on spending time outdoors, and at some of the city’s glorious beaches during your stay in Cape Town self-catering accommodation. Trouble is, so does everybody else. Here’s your guide to some of Cape Point’s best kept secret beaches where you can flap out your towel in peace. 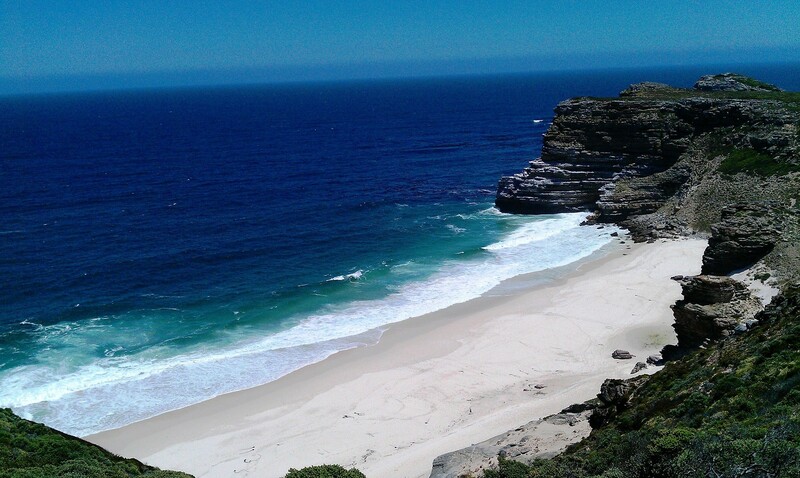 This is one of the most untouched beaches along Cape Point. You can get to it via Dias Cross, or take the 4km hike from Gifkommetjie if you enjoy earning your beach time. It’s a great place for kite and windsurfing, picnicking or cooling your feet in the shallows. Swimming out to sea is not recommended at this isolated spot. Otherwise, you can content yourself with exploring the snowy dunes and rocky outcrops or taking an extended stroll along the pretty coastline. You may come across incredible birds, baboons, and even an ostrich or two during your explorations. This place is fast becoming one of Cape Town’s better-known spots, so visit now before everyone latches on to the idea. The only thing keeping the masses from descending on this gorgeous spot is the 20-minute walk from the parking lot down a steep set of stairs. Located at the very tip of Cape Point, this beautiful beach is surrounded by dramatic cliffs overlooking a turbulent ocean. Stick to admiring the view and the solitude, these feisty waters are not for swimming, although many a surfer or bodyboarder with nerves of steel find pleasure in its depths. If you love exploring head to Olifantsbos Beach where you’ll find 2 hiking trails and three shipwrecks to admire, fynbos galore and a shallow lagoon filled with coastal birds. Bontebok and birds are the main attractions here, and surfers flock to the site when the southeaster is in town. Take the first turn off after the Cape Point Nature Reserve western entrance. The entry fee for Cape Point Nature Reserve if you are an SA citizen is R76 for adults and R39 for children and opening times are from 7am – 5pm (April – September), and 6am – 6pm (October to March). Don’t miss the chance to spend some time at The Mother City’s most desirable secluded spots during your stay in Cape Town self-catering accommodation. Get in touch to book your spot in the sun today.